qgSurf is a plugin for QGis, that allows to calculate the best-fit-plane given a set of point with DEM-derived heights, or the intersection between a geological plane and a DEM. Recently it has added some basic tools for the creation of 3D analytical surface and their deformation, even if they are still at an experimental stage. The new version, 0.3.1, adds support for on-the-fly projection, so that, for instance, it is easier to use satellite data providers as Bing or Google for geological calculations. When using the Best-Fit-Plane tool, DEMs can be in lat-long, but in that case the project must be set to a projected, planar CRS. DEM elevations and projected planar distances must be in the same measure unit (e.g., meters). On the other hand, the DEM-plane intersection tool does not work properly with DEM in lat-long, since it requires that the horizontal distance measure unit to be the same as the vertical one, impossible for DEMs with data in lat-long. Also mixing meters for horizontal distances with feets for elevations will produce erroneous results. It is safe however to have a DEM in UTM 32 (with x, y and z values in meters) and the project CRS in Lambert Conformal Conic. 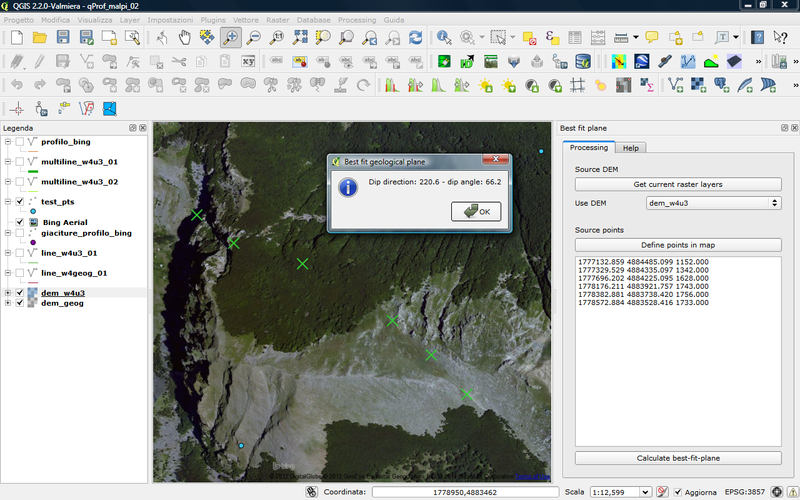 The plugin can be installed from the QGis plugin manager, or downloaded from http://plugins.qgis.org/plugins/qgSurf/ or https://bitbucket.org/mauroalberti/qgsurf/downloads. 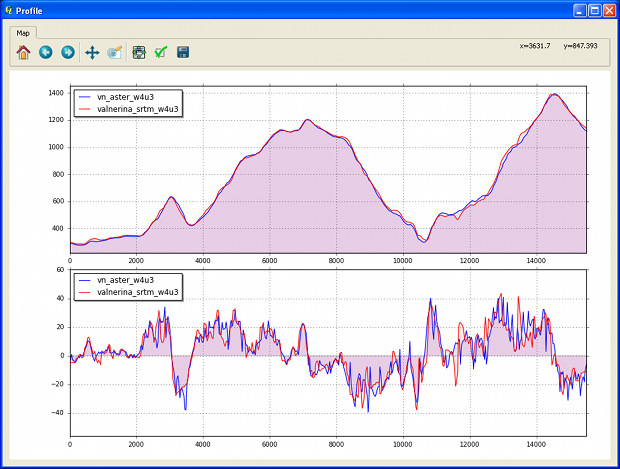 It works for QGis >= 2.0, and has been tested in Windows Vista and Ubuntu LTS 10.2. 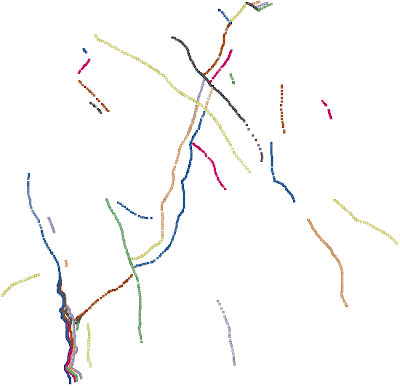 Errors in Linux or Windows for the 3D geosurface simulation tools could possibly be related to an old installed Matplotlib version, and solved by updating this last.